Here’s what’s up in the world of TV for Friday, May 19, and Saturday, May 20. All times are Eastern. Unbreakable Kimmy Schmidt (Netflix, Friday, 3:01 a.m.): We know, summer’s not over yet—it hasn’t even begun, really. But you’ll still find yourself back in the classroom for a new season of Unbreakable Kimmy Schmidt. 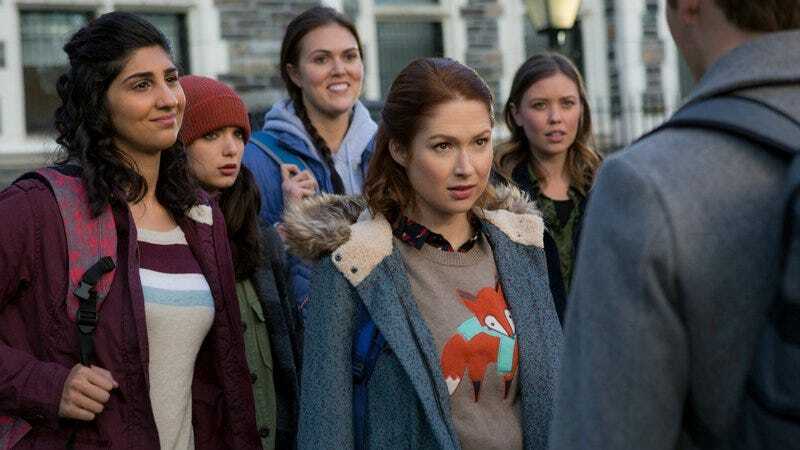 This time, the unflappable New Yorker, played by Ellie Kemper, is looking to matriculate, eyeing such institutions as the Roy Cohn Community College and Hudson University. She’s also in the middle of a divorce from the Reverend (Jon Hamm). But this new batch of episodes is far from a bummer—as TV editor Erik Adams notes, the “humor is sharper than ever.” Kayla Kumari Upadhyaya has her Trapper Keeper ready, and will be posting reviews every other day. The Keepers (Netflix, Friday, 3:01 a.m.): We might have found your new true crime binge with this docuseries from director Ryan White. The Keepers explores the unsolved murder of a Baltimore nun who disappeared in 1969. But the scandal and mystery go beyond her death.